When Sally Morgan, Labour peer, was ousted as the Chair of Ofsted, she claimed it was a party political move by the current Secretary of State. 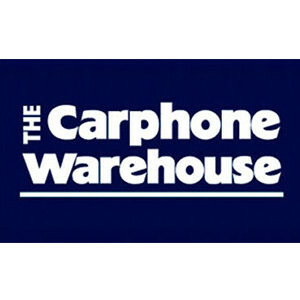 His current favoured candidate appears to be the multi-millionaire Tory Donor David Ross, Chairman of Carphone Warehouse who leads the David Ross Education Trust. How could he manage the conflict of interest given that his trust runs a chain of 25 academies? Gove has form having elevated another donor John Nash to the peerage in order to run the academies programme at the DfE. Incidentally, having compared previous and current Ofsted reports of the twenty five David Ross academies we found just two had improved their Ofsted grades since their conversion. The fawning article by Gove about another Tory donor, Lord Harris , following the ‘good’ judgement by Ofsted of the former Downhills school in Tottenham is worth a read but don’t miss the comment from DisappointedIdealist (30 June 2014 9:09am ) who compares the stratified intake of Crystal Palace Harris Academy – where just 11.3% are eligible for a free school meal – with its otherwise deprived catchment area. Michael Gove’s ideological dream of the free market where schools compete for pupils is having its impact on children, parents and staff. In Birmingham the Kajans Hospitality & Catering Studio College will close due to low demand a year after opening – right in the middle of students’ exam courses. Setting up the school cost £2.5 million. But Gove’s view of the free schools programme appears delusional. He has written to Labour’s Tristram Hunt this week , saying “Given the astonishing success of the programme so far, now is the time to safeguard its future’. That astonishing success includes ‘failed’ Ofsted inspections ,closures and financial scandals. Unsurprisingly the free schools policy is not welcomed by school leaders. 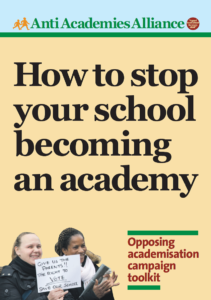 An Ipsos MORI poll of 1198 school leaders for The Key school information and advice service found that 43% strongly opposed the programme and 25% tended to oppose it. The least popular Coalition education policy was forced academy status with 49% strongly opposing and 25% tending to oppose. Voluntary conversion wasn’t welcomed either with only 8% strongly supporting and 14% tending to support. Please spread the word about the TUC’s Education Not for Sale campaign . The campaign calls for a commitment to no-profit, stakeholder accountability, national entitlements for children including the right to have a qualified teacher, fair transparent funding and a tougher regulatory framework in further and higher education. There’s a full report here and a campaign leaflethere . Hundreds of parents and school staff attended a community meeting ‘Putting Birmingham School Kids First’ last month. 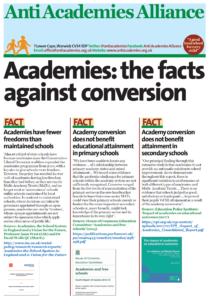 They heard from Salma Yaqoob, Kevin Coutney of the NUT and Sir Tim Brighouse that the government’s reaction to the alleged Trojan Horse plot showed the worst of Islamaphobia coupled with the politicisation of Ofsted. In Norwich, parents held a minute’s silence to mark the death of democracy as Cavell primary was forcibly converted to academy status . Their views were ignored and the school was handed to the Right for Success Trust. Their running of another Norfolk school was questioned by former Tory education secretary Gillian Shephard in the House of Lords. Parents in Sussex continue their spirited campaign against their Headteacher’s plan to convert Hove Park secondary. The initial refusal of the governing body to hold elections for new parent governors has been successfully challenged and although governors refused parents a ballot the campaign has won the support of the local authority which is now running an indicative ballot. These two victories have forced the Governors to postpone the date of the decisive Governors meeting until after the elections and ballot. Hundreds of parents, teachers and supporters took to the streets on Saturday and ended their march with a protest picnic with contributions from comedians Mark Steele, Shappi Khorsandi and Atilla the Stockbroker alongside Caroline Lucas MP, NUT members and parents. The DfE has been in Court over plans to forcibly convert Warren Comprehensive to academy status. Barking and Dagenham Council is arguing that the school has made rapid improvement under its guidance in partnership with a nearby secondary. Data provided by the Local Schools Network was used in the case and went un-rebutted by DfE witnesses. We’ll let you know the judgement as soon as we can. Teachers at Sir Thomas More Catholic Academy in Stoke on Trent also plan to strike on 8 and 9 July. 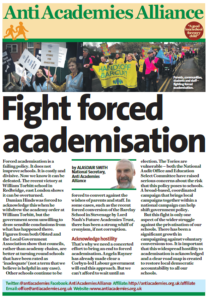 Send messages of support to secretary@stoke-on-trent-division.nut.org.uk. This entry was posted in Blog, News, Top story. Bookmark the permalink.